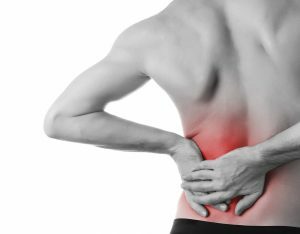 Are you living with chronic back pain? You’re not alone. More than 85 percent of Americans will suffer from back or neck pain at some point in their lives and more than 26 million adults under the age of 65 live with frequent back pain. Many of those people are prescribed pain medication or undergo surgery in an effort to relieve their often-debilitating pain. But Mark D. Brown, MD, PhD, University of Miami Leonard M. Miller School of Medicine Professor and Chairman Emeritus, Department of Orthopedics, Director of the Center for Orthopedic Research and Education, advocates a non-surgical, non-pharmacological approach to back pain treatment. PC: Could you describe your approach to chronic back pain? MB: First, I diagnose the underlying cause of the pain—degenerated or herniated disc, spinal stenosis, spondylolisthesis, or another condition. The majority of people with chronic back pain conditions, however, also have lifestyle issues that are affecting their health and contributing to their pain, including obesity, smoking, and lack of exercise. Some of them are also suffering from depression, which compounds their painful condition. If a patient is depressed, in addition to treating their back pain, I also encourage them to get treatment for their depression. The next step is to categorize the patient into levels of fitness. The first level is the fit patient who does not smoke, maintains an appropriate weight, and does aerobic exercise 3 to 4 times a week. The second level includes patients who don’t smoke and aren’t overweight but are not aerobically fit and may have high blood pressure or diabetes that is controlled with medication. The third level is the patient who is obese, smokes, is inactive, and has chronic health problems that are not well controlled. The fourth level includes patients who have a chronic, debilitating disease such as COPD. PC: What do you do for patients who are not in the highest fitness category? MB: The majority of people with back pain fall into the not-so-fit category. Many have been overtreated with too many adjustments, too much medication, too much physical therapy, or even worse, one or more surgeries. For these people, though the mechanical cause of their pain can be fixed with surgery, surgery alone is not the best approach. They need what I call “prehabilitation”. I put them on a diet plan to lose weight, recommend a smoking cessation program, help them wean off any pain medications they are using, and put them on a controlled exercise program. I’ve had many patients who come in with spinal stenosis so severe they can hardly walk. I tell them that their problem can be fixed with surgery, but they are not in good enough shape to undergo surgery safely. I start them on a prehabilitation program, and after losing weight, getting active, quitting smoking, and getting any other chronic health conditions under control, 50 percent of them feel better and feel they do not need surgery because their pain has diminished or disappeared. PC: What is the evidence that supports this approach to treating back pain? MB: There are a number of controlled clinical trials that provide evidence of the effectiveness of this approach. One compared patients with chronic back pain who undertook an intensive exercise program with those who received the usual therapies of medication, adjustment, and so on. Those who followed the exercise program improved while the people who received the usual therapy did not improve or got worse. PC: Are there other health issues associated with chronic back pain? MB: Chronic back pain is frequently associated with cardiovascular disease, hypertension, diabetes, depression, and more. I’ve seen patients in their 30s who are seeking treatment for back pain. They are overweight, inactive, often smoke or have a chronic condition like high blood pressure or diabetes. I tell them back pain is a warning sign that your lifestyle choices are causing you to risk your life. When they change those factors, their lives improve dramatically and they get the added bonus of relief of their back pain.